A very versatile simple and a good source of antioxidant vitamins and minerals but salad leaves' health benefits start to diminish as soon as they are picked, so it is important to use very fresh leaves. 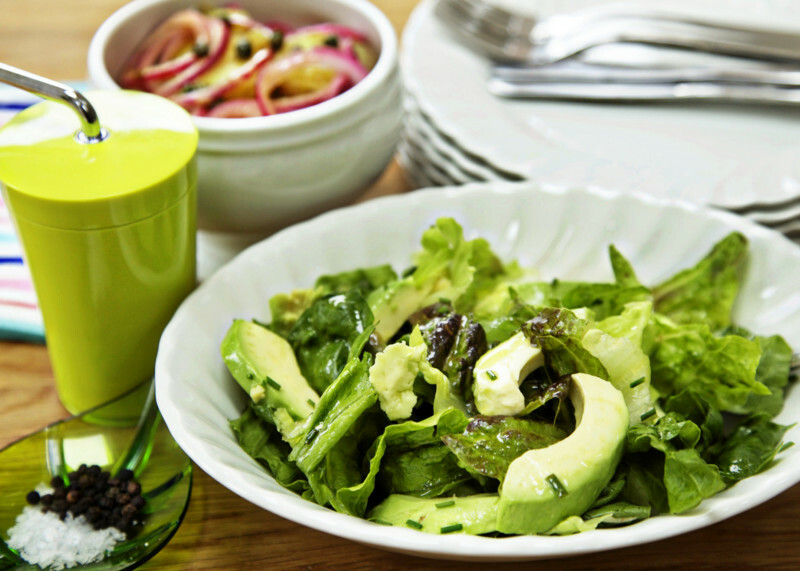 You can prepare this dressing several hours in advance but keep the avocado whole until ready to eat to avoid it turning into an unappetising brown colour. In a bowl, mix together the oil, lemon juice, chopped chives and some salt. Peel and slice the avocado. Mix with the salad leaves. Drizzle with the lemon dressing and serve immediately.